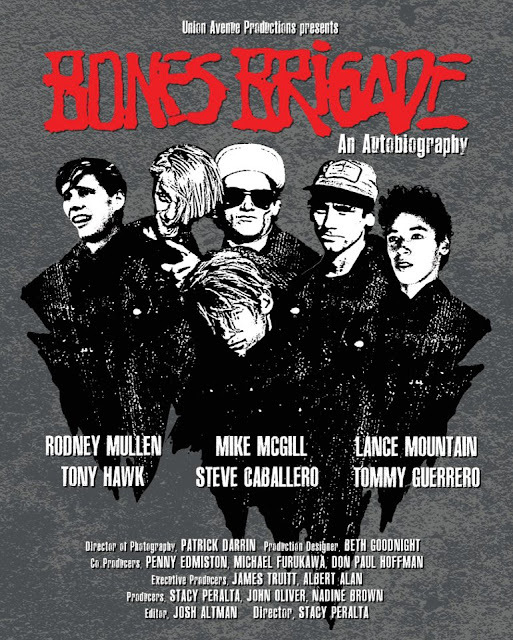 While Stacy Peralta prepares to take “The Bones Brigade An Autobiography” documentary to Hollywood on the Mountain next week for the Sundance film festival news broke the film will be making its West Coast debut at the 26th Annual Santa Barbara International Film Festival on Thursday, February 2. As a bonus, Cab posted this image (which strangely enough has some kind of Vision Streetwear accents in it...) on his Facebook account. Yeah, the release of the documentary is imminent and for those who leave in the Santa Barbara area, it’s even more than imminent. Tommy Guerrero, Steve Caballero, Rodney Mullen, Lance Mountain, Mike McGill, Stacy Peralta and George Powell have all confirmed their attendance at the Santa Barbara pre-release. A Q & A will follow the film so for all of you who live skateboarding so here's your chance to get up close and personal with the legends of the sport.